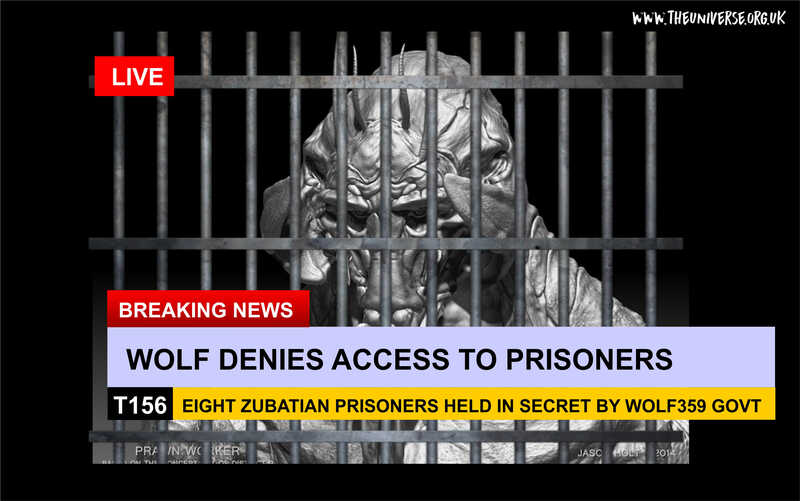 Wolf359 Government has refused requests from LONAW and the Government of Gorilla for access to their 8 Zubatian prisoners. The Wolfers have agreed that observers from Earth, New Venus and Centaur will be allowed access. 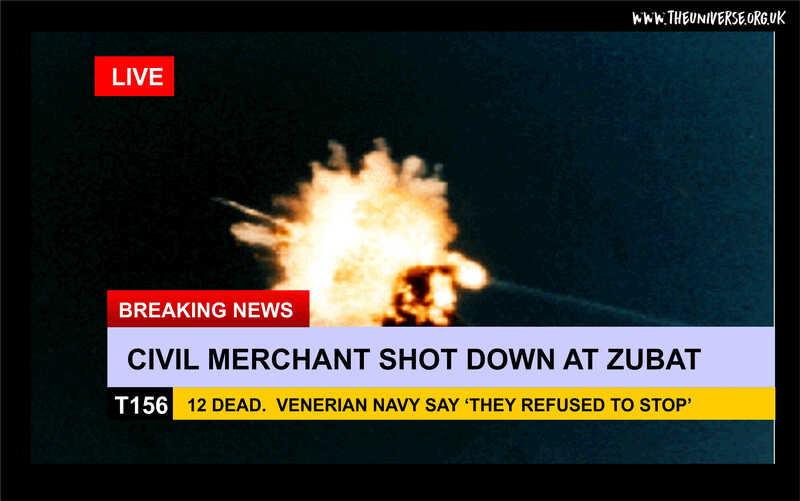 A spokesperson for the League said “This is a clear infringement of the rights of sentients to be treated with decency and an assault on the civilised values we hold dear, that innocents can be abducted and imprisoned without trial by a foreign power should be condemned by every right thinking sentient”. The Wolf359 Embassy on Gorilla remains closed. – Production or attempted production of an illegal AI (as per the Stickney Treaty). – Mass driving (as per the Treaty of Geneva). – Genocide or attempted genocide of sentient beings, defined as “acts committed with intent to destroy, in whole or in part, a particular national, ethnic, racial or religious group or species”. Species covered by the legislation would include humans, cetaceans, Chosen, Shadow Hunters, and the Beldon aliens. The law would not be retroactive. There would be an evidential test by the power seeking extradition in the court system of the power from which extradition was being sought. 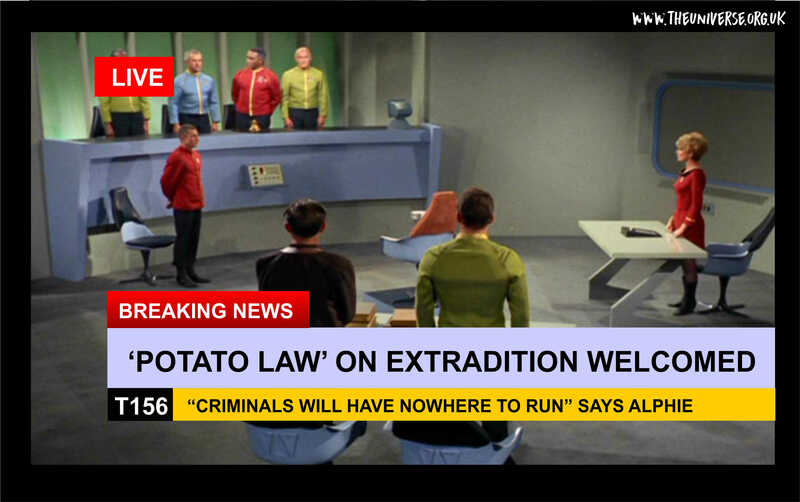 There was agreement on the Potato Law from the Martian, Venerian, Esteeler, Wolfer, Maldenite, Earther and New Republic delegates to the Summit. Automatic observation stations posted on the M25 of the Mystery System monitored the destruction of Mystery-C, a planet widely believed to be the homeworld of The Forerunners – an ancient advanced species whose civilisation spanned thousands of worlds and who are believed to have modified many worlds in human space, as well as, controversially, allegedly having been involved in the early development of homo sapiens and the growth of human civilisations. The Interstellar Forunner Foundation was closed in a ‘day of mourning for archeology and to mark the passing of the Forerunners’. They announced that henceforth Day 108 will be marked every staryear as ‘Interstellar Forerunner Day’. The INTERLOCUTOR system had given a timescale for the event, and in the thirty days or so leading up to the destruction, there had been reported a number of energy spikes and some seismic activity around the oceanic pyramid housing the tethered singularity, signalling preparations for decomissioning the entire site and rendering it safe. 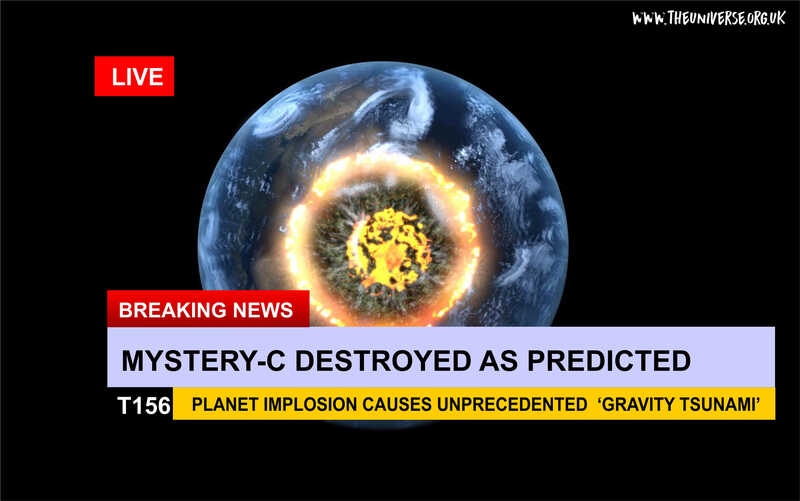 As predicted, the process, using technology unknown to human science, resulted in the complete destruction of the planet Mystery-C. The robot observation stations’ recordings show the entire planet imploding and ‘vanishing’, followed by a vast gravitic pulse that propagated through the system, out to the M25 and beyond. This was of such force that all the observation stations were destroyed. Post-Event investigations have shown that the ‘Gravity Tsunami’ as its being called has radically destabilised the entire system, and all the major planets orbits have been materially affected, three inner planets are expected to fall into the star at some point over the next 80-100 years, and one outer planet has been thrown out of the star’s gravity well altogether. The star itself is showing signs of instability and already at least one vast solar flare has been detected. It is widely believed that the system is no longer safe to visit, at least until the effects have stabilised. Astrophysicists say it might be a century or more before they can fully determine the long term effects on the system of the Mystery Gravity Tsunami. The good news is that analysis indicates that the gravitic pulse effect (which is propagating at approximately the speed of light) will have attenuated to a level that is virtually undetectable at around 0.5 parsecs from the system (in just uder 2 years).